Start with some 2 1/2" strips and a background to create what looks like circles and yet you have NO curved or tricky seams. 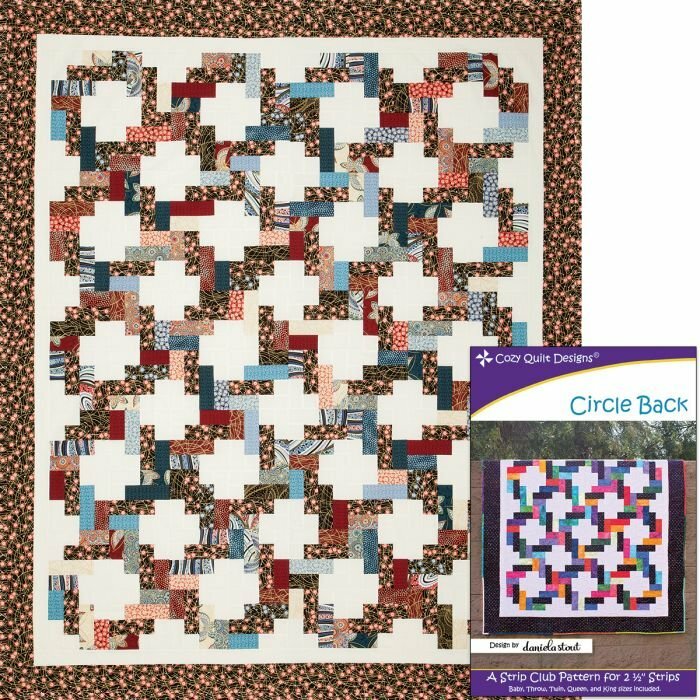 This fun pattern has sizes from crib to King size quilt. The best part its fun and easy!